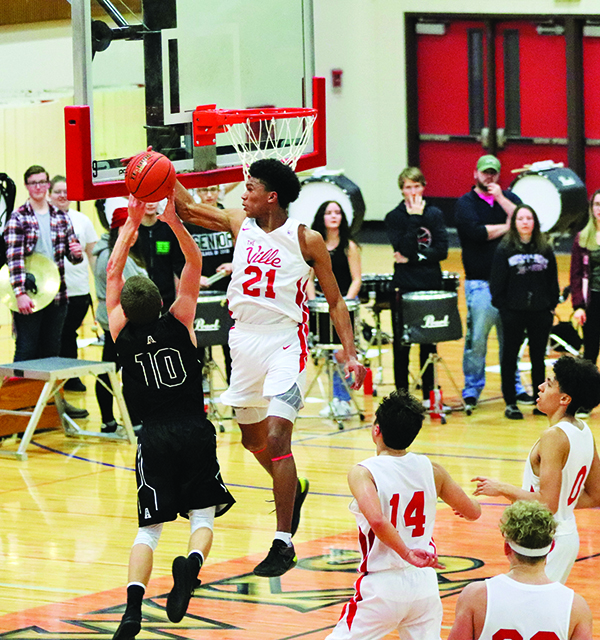 The Marysville-Pilchuck gymnasium was packed with spectators who came out in droves to witness the highly anticipated matchup between the M.P. Tomahawks (13-3) and Arlington Eagles (11-4) played on January 23. After starting out the season just (1-3), the Tomahawks had been on a tear by way of riding an impressive 12-game winning streak led by 6’5” senior shooting guard and Tulalip tribal member, RaeQuan Battle. RaeQuan is joined by fellow tribal members Alec Jones and T.J. Severn, both juniors on the much hyped M.P. squad. Arlington has a tribal member on its team, too, in freshman Quintin Yon-Wagner. 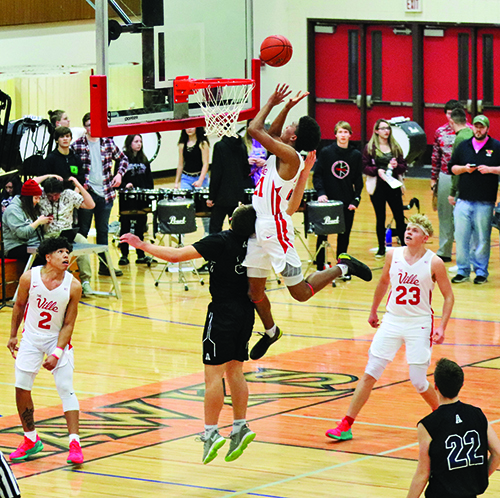 The Tulalip ties gave even more significance to the regular season game, as many members of their families turned out to watch the athletic contest. Fortunately, everyone in attendance was treated to a very entertaining and competitive game that went down to the wire. In the 1st quarter, Marysville-Pilchuck jumped out to an early 12-1 lead. Thanks in part to an engaged RaeQuan getting buckets from the perimeter, inside, and at the free-throw line his Tomahawks led 14-4 after the opening period. Alec, coming off the bench, provided instant defense and on-ball pressure for the Tomahawks’ backcourt. After enjoying a 28-18 halftime lead, M.P. saw their advantage disappear when Arlington caught fire from the perimeter and made back-to-back 3-pointers. Things took a bad turn midway through the 3rd quarter when RaeQuan took an accidental elbow to the head. The contact opened up a cut along his eye and forced him to the M.P. bench while receiving medical treatment. With their best player on the bench, the Tomahawks’ offense struggled. Meanwhile, Arlington hit several consecutive jumpers to give the Eagles their first lead of the ball game. Alec scored a transition layup for the Tomahawks, tying the game at 36-36, but at the end of the 3rd quarter M.P. trailed Arlington 36-38. The 4th quarter was a back and forth thrill ride, with players on both teams trading clutch baskets for minutes at a time. However, it would be the University of Washington commit RaeQuan proving to all onlookers why he’s the number four ranked player in Washington State, according to ESPN. In a one possession game, late in the final seconds, RaeQuan hit a dazzling step-back 3-pointer to put the Tomahawks up 54-50. Only moments later he followed up his offensive display with an equally as good defensive stop, chasing down an Eagle’s guard and soaring for an emphatic block to seal M.P.’s comeback victory. Regarding those two game changing plays he had at critical stage of the game, RaeQuan said draining the 3-pointer was the sweeter moment because the team needed the points more. Makes sense, buckets win games. 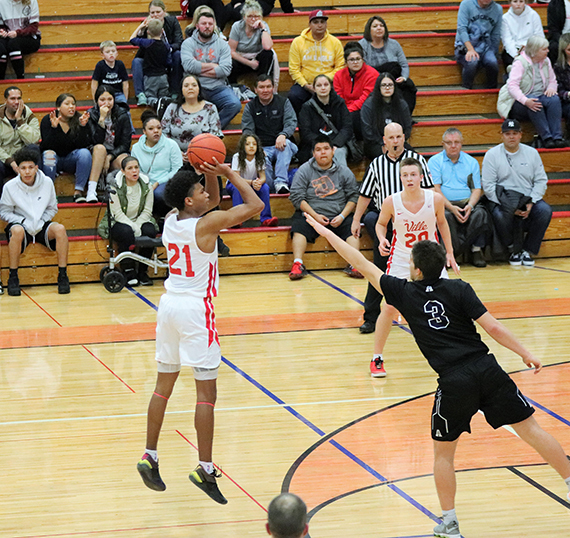 Marysville-Pilchuck has two more regular season games left before the 3A District playoffs begin February 9. This entry was posted in Sports, Tulalip News by Kim Kalliber. Bookmark the permalink.